Tea Party, Crafts, Art, Food Tasting, Bakery Samples & Family Fun! Enjoy cooking demos by Joanna Gregson, bakery samples by Batter Splatter, Art with Wine & Design Stafford, a Tea party for the kid's with Blooming Arrow Events, Interior Design by Thompson House Interior Designs, crafts by Wiggle Worms Child Care and so much more!“FIRST LOOK is not only the start to a homebuyer’s story but ties into a variety of ‘firsts’ in a new home – first family meal, first home project or even the first bedtime story,” says Doug Smith, President of Miller & Smith. 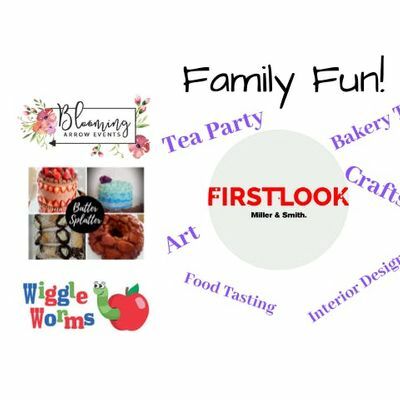 “This spring, we’re thrilled to engage local Fredericksburg and Stafford County homebuyers by exploring a variety of ‘firsts’ in a new home with a set of educational pop-up workshops, showrooms and partnerships.”Unlike typical showrooms, the Miller & Smith FIRST LOOK Embrey Mill models will become a hub for families (and the kiddos!) to roam free, interact with local community partners, play, build, listen and learn. Visitors can see, smell, taste and touch their new home for a truly immersive experience. 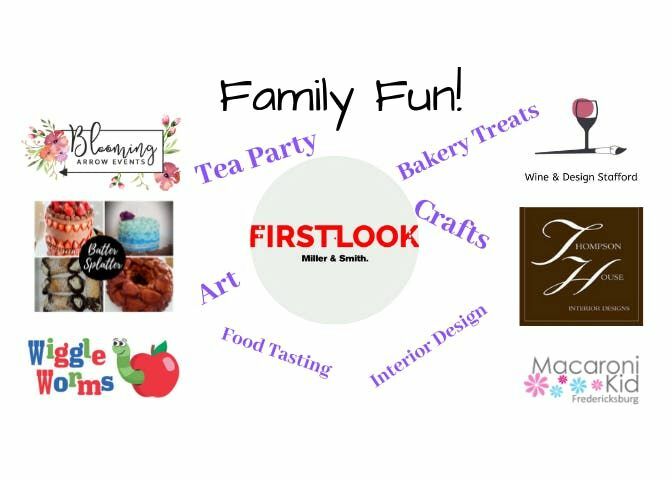 Tea Party, Crafts, Art, Food Tasting, Bakery Samples &amp; Family Fun!